Product Claims: 100% natural kajal that relaxes & soothes eyes through the day. Smudge-proof & long lasting, it contains botanical extracts of camphor & almond oil to pamper eyes & promote lash grwoth. Texture: The texture is matte and non creamy. On initial usage it takes many swipes to get intense color as the Kajal would be a bit dry. After a week the tip becomes soft enough to give intense color in 2 swipes. Color: Black. The shade intensity is good but it's not the blackest kajal. 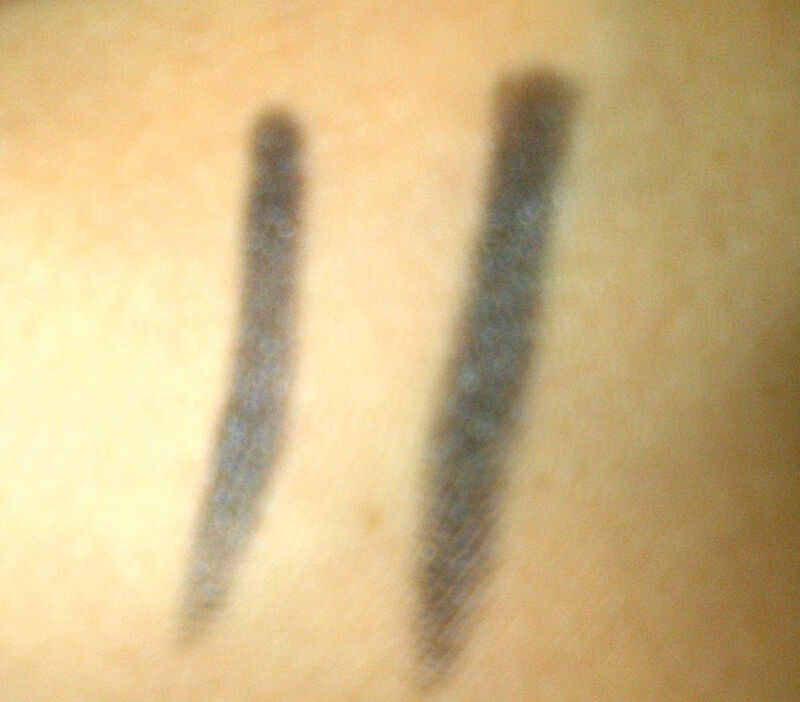 Smudge - Proof: Stays on waterline for 3 to 4 hours without smudging. After that it does smudge to noticeable extent. It may not give panda eyes but I don't like Kajal to smudge as I already have dark under eyes. Long - Lasting: The color stays well for 2 hours and fades away fully by the end of 5 hours. So it's not that long lasting. Observe the smudging in the above photo. Though the picture was taken after 12 hours this was actually how it looked after 5 to 6 hours without any touch up. Relaxing and Soothing: When I read camphor I expected nice cooling sensation but it gives nothing of that sort. Just feels like any normal kajal. Lash Growth: I used the Kajal for about a month and didn't see any growth in the lashes. Honestly I didn't expect this claim to be true. Allergic? Not at all. It didn't cause irritation or burning sensation to the eyes. Packaging: Need to improve the package. It is not sturdy enough to carry in handbags and Kajal is a must have for me for touch ups. It has a small cap covering the tip which is loose and might slid off. Applicator: It comes in a conical shape with a sharp tip causing difficulty to use on the water line for 1 to 2 weeks in the beginning. The tip should be more blunt. Use it only on water line without touching the lower lashes. Then it fades away with very little smudging. Applying powder(pressed or loose) below lower lash line makes the kajal smudge less as the powder absorbs the oils.